For some people, choosing a computer case (also referred to as a chassis by some) is one of the most exciting parts of building a new computer. For others, it's just a box that holds the rest of the parts. Either way, selecting a case for your homebuilt computer is one of the most important steps in the planning process. The case you choose will determine what form factor motherboards you can use, how many drives you will able to install, how easy the computer will be to assemble and maintain, how hard it will be to keep your computer cool, and how many front-panel ports you'll have available, among other things. It's a lot easier to assemble a computer when the case has been intelligently designed. A poorly-design computer case can make what should be a fun experience a downright miserable one. So whether you want a fancy case with LED lighting and glass panels, or a plain box to hold the rest of the parts together, take some time and do some research before making your decision. As important as the choice of a computer case is, it's also where you can save some money if you're on a tight budget. 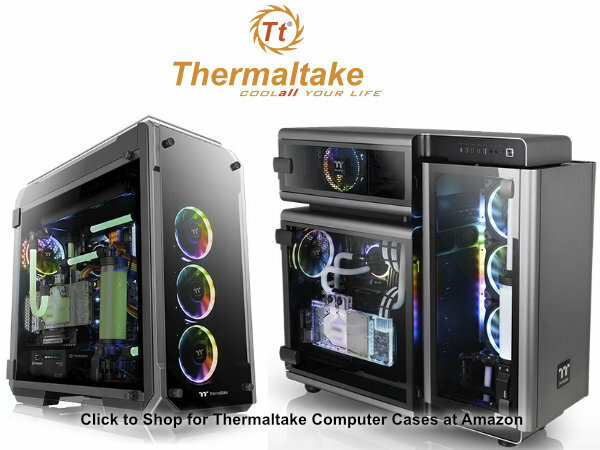 There are many excellent, but inexpensive computer cases from quality manufacturers like Antec, Cooler Master, Corsair, Rosewill, Thermaltake, and others that can save you hundreds of dollars compared to cases with fancy lights and other purely cosmetic bells and whistles. It's those bells and whistles that tend to drive up the prices of computer cases. If you don't need them, you can save a lot of money. But if they're important to you, then choose a case that you'll be happy with for as long as you own the computer. The form factor is the first thing you must consider when selecting a case for your new computer. Form factors are designed around motherboard specifications and are based on things such as the size of motherboard they'll accommodate, the spacing of standoff holes, and the location of the rear port openings. As a general rule, most cases can accommodate any motherboard up to their maximum sizes, but check first just to make sure. Mini-ITX. The Mini-ITX standard allows for a maximum motherboard size of 6.7 x 6.7 inches (17 x 17 cm) with a single expansion slot (usually PCIe in modern boards). Mini-ITX cases can theoretically be used for any type of computer; but in practical terms, they're limited mainly by the single expansion slot. These cases come in low-profile, block, and even tower shapes. MicroATX. MicroATX motherboards are no larger than 9.6 x 9.6 inches (244 x 244 mm). 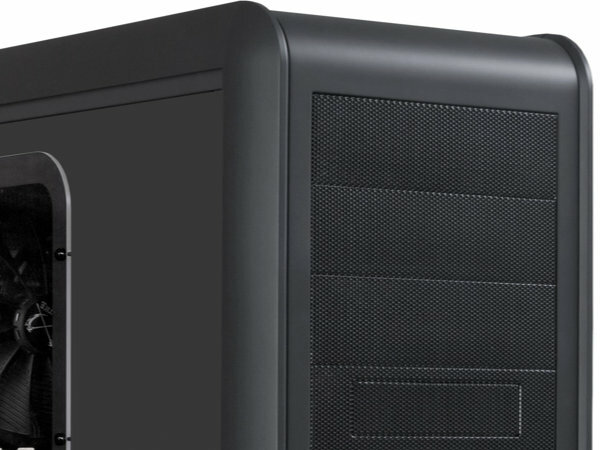 Cases built to the MicroATX standard are sometimes called "mini tower" cases. This is not the same as Mini-ITX. ATX Desktop. Traditionally, ATX desktop cases were horizontal, but most are towers nowadays. They usually accommodate an ATX motherboard. Check first to be sure, though. Some cases billed as desktop cases will only accommodate a Micro-ATX motherboard. ATX. The standard ATX computer case is a versatile enclosure designed around a full-size ATX motherboard with a maximum size of 12 x 9.6 inches (305 x 244 mm). The smallest cases built around the ATX standard are often called a "mid-tower" cases. Most will also accept Micro-ATX motherboards. With a couple of good case fans, they're also pretty easy to keep cool. Extended ATX (E-ATX). Extended ATX motherboards can be as large as 12 x 13 inches (305 x 330 mm). Cases designed for E-ATX usually are full-tower ATX cases, as well, and can accommodate smaller motherboards as well as E-ATX ones. ATX Full-Tower. Most full-tower cases nowadays are also E-ATX cases and can accept any of the ATX-family motherboards up to E-ATX. The only differences are which mounting holes to use and which insert to place in the rear connector cutout. Server Cases. Server cases are a good choice if you need many easily-accessible drive bays (or if you're building a server, of course). Most are nominally designed around the ATX form factor, but can also accept other motherboard sizes. Check the case's specifications to be sure. Another important factor affecting the size of case you choose is the number of drives you plan to install, both inside the computer and front-accessible. All PC cases have internal bays for at least one hard drive, and front-accessible bays for at least one optical drive. Many cases also have a space for a floppy drive. Not too many people use floppy drives any more; but the floppy disk bay is a handy places to install a 3.5 inch card reader, which is a very useful and popular item. This simple configuration may be just fine for your needs, especially because optical drives are slowly but surely fading in popularity. But keep in mind that as technology advances, new devices are often designed to fit in existing cases. It's better to have an extra drive bay for future expansion than to not have one and wish you did. If you are building a computer with many hard drives (such as a computer for multi-camera video editing, in which it's common to use separate drives for each camera), then you may want to consider using a server case that has lots and lots of 3.5 inch bays. Power supplies are sometimes included and pre-installed in computer cases. If the case is designed by a company that's also known for it's quality power supplies like Antec, Cooler Master, or Thermaltake, then chances are that the power supply is also top-notch. Do some research to make sure, though; and also make sure it has sufficient capacity to power the computer you're building. Sometimes an otherwise perfectly-good case (or a barebones kit) may come with a less-than-wonderful power supply, however; and a power supply is not something you want to skimp on. Or more commonly nowadays, the case may come with no power supply at all. In either of these cases, you'll have to choose a power supply and buy it separately. As you'll learn in more detail on this page, excess heat is one of your computer's worst enemies. Select a case that has at least one place to mount a chassis fan. More are better. 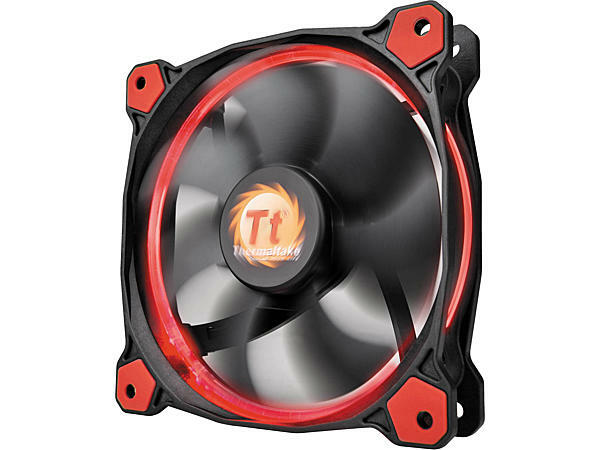 Without a chassis fan, the heat thrown by the power supply fan, CPU fan, chipset fan, and video card fan will rapidly raise the temperature inside the case. A simple case fan will help bleed this heat off and keep your computer cool and happy. If you have pets who shed hair, or if you plan to use your computer in a dusty place, either use a case that has a filtered air intake or try to find filtered cooling fans. These will help keep the dust out of your system. You'll have to clean the filters frequently so they don't get clogged. You also may want to consider a hard drive cooler and a chipset cooler, especially if the computer will be used in a hot environment or if you need to use a small case because of space limitations in your office, dorm room, or jail cell. Small cases can cause major heat buildup, which in turn can cause all sorts of errors and failures. If you have no choice but to use a small case, extra cooling can help avoid heat-related problems. When selecting a computer case, consider how the case design will make it more or less difficult to assemble the computer and to maintain it once it's built. Look at things such as how easy the case is to open, whether the drive cages are easily removable (which makes drive installation and replacement easier), how difficult routine cleaning and dust-removal will be, and whether you'll have room for upgrades. We're geeks, after all, so it's only a matter of time before we open the case again to do some modifications. As I mentioned at the top of this page, some people couldn't care less about a computer's looks. Others go to great pain to find a case that matches their decor or is otherwise pleasing to their eyes. Me, I like simple designs that look like a computer and not a jukebox. But that's just me. Unlike the "old days" of computing when everything was boxy-looking and putty-colored, PC cases are now available in a full spectrum of colors, styles, and designs. Some have transparent side panels framed with flashing neon lights. Some people, especially gamers, like the effects that these lights provide. Others (like me) think the lights are useless and a waste of money. But hey, whatever floats your boat. What it boils down to is that only you get to decide how important a case's appearance is. You're building the computer, and presumably you're paying for it, so you get to decide what your creation will look like. It's your creation, so make it what you want it to be.